Never lose sight of the days. Put your priorities in order and at the very top, place those people and things that are the very most important to you. Where you put your attention and time towards each day is what will become the strongest, most well built aspects of your life. Start today. 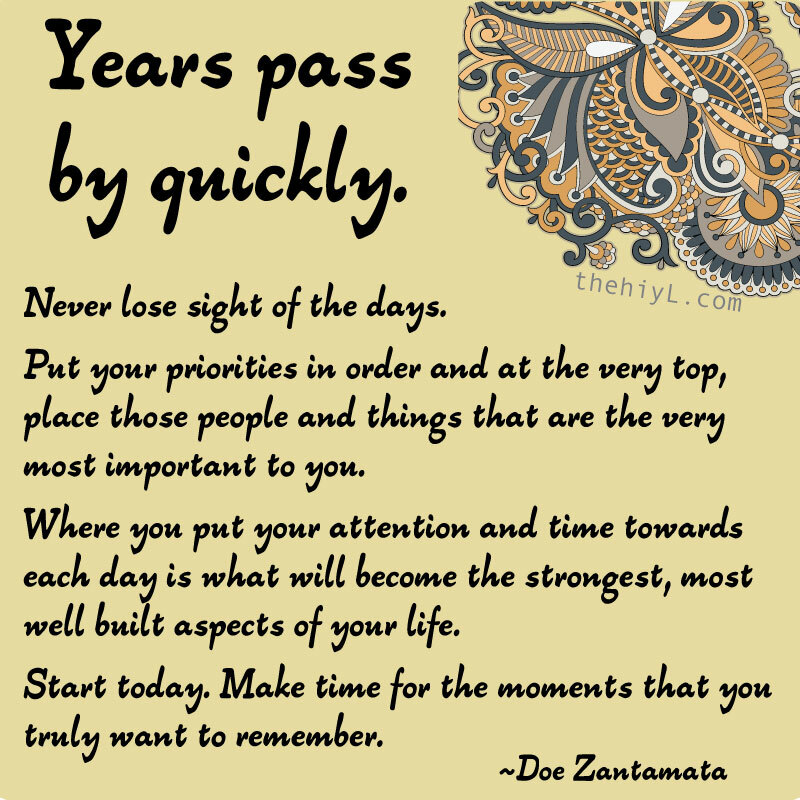 Make time for the moments that you truly want to remember.